You have to get at least one of their three signature cocktails. 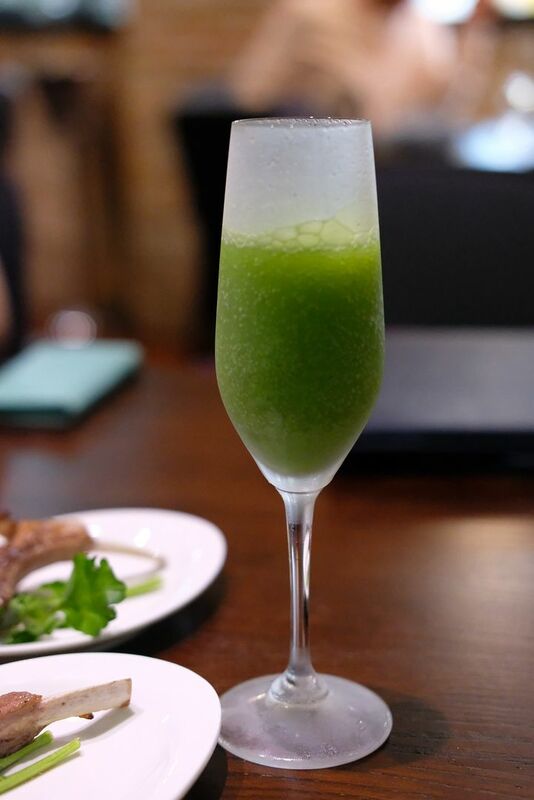 The Kiwi Sparkling($22) is a concoction made from kiwi juice and sparkling wine. It sounds simple, but is anything but. A lavish amount of kiwi puree sits in the glass, so you know they're not skimping on the kiwi, or using some essence or syrup. It's one of the most refreshing and yummiest cocktails I've had in awhile. If you love coconut, I'll recommend the Coconut and Basil ($20). We had the signature WAKANUI Spring Lamb Chop ($8) to start. I was quite hesitant to try it, as I really do not fancy the smell and taste of lamb. However, this little slab of goodness totally changed my impression of lamb. 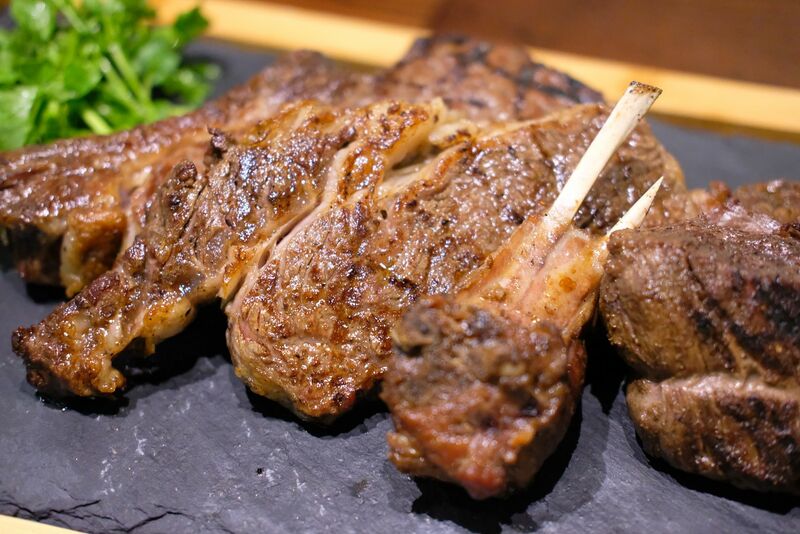 Grilled over Japan-sourced Binchotan charcoal, the spring lamb was wonderfully succulent, and every bite held a promise of juicy meat that possessed just the right amount of firmness. Needless to say, the flavour was great, and that distinct lamb taste was hardly detectable. Never thought that I would, one day, find lamb delicious! 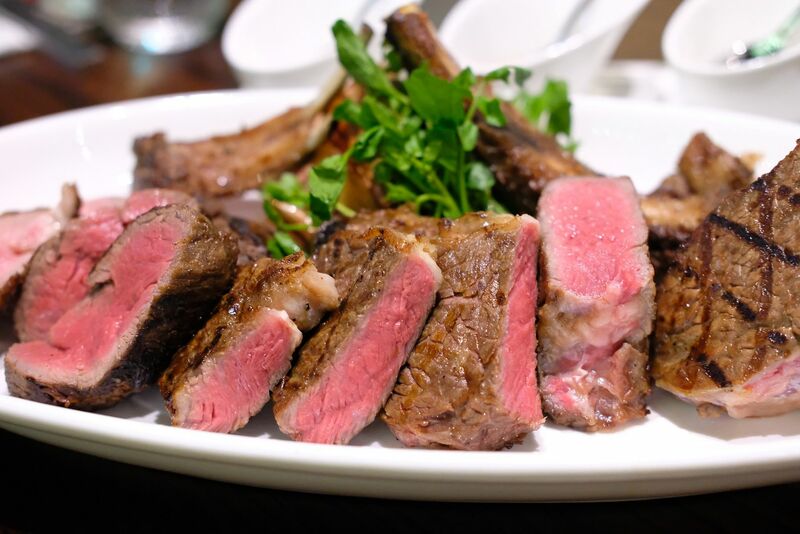 A special process has been developed to ensure that such fantastic lamb is available throughout the year. Lambs born in early spring are raised for six months on nutritious pastures before they are aged for about four weeks. The meat will then reach peak flavour, and goes through quick freezing immediately. I was surprised to learn that each piece is more than reasonably priced at $8! 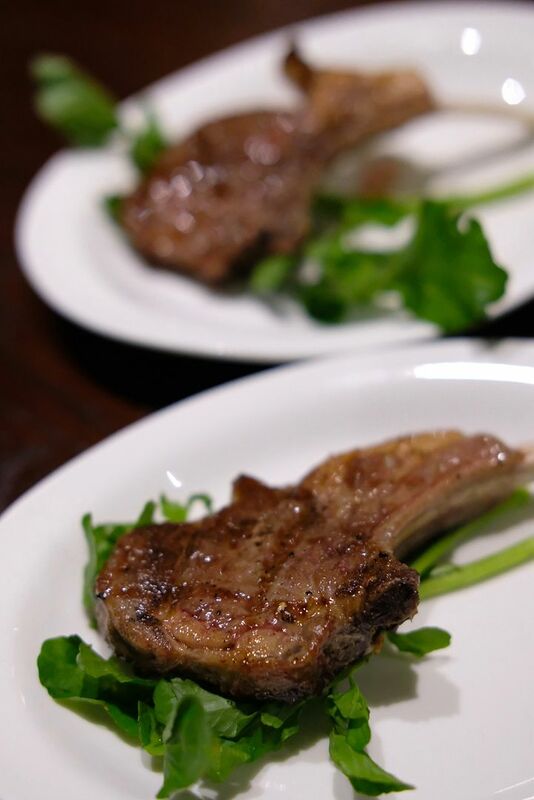 Well, but after trying a piece, I bet you'll be looking at the WAKANUI Spring Lamb Rack ($42/half, $82/full)! Before the meat platters dawn on you, perhaps you'll like something lighter to kickstart the meal? The Kikorangi Blue Cheese Caesar($22) might just be what you're looking for. 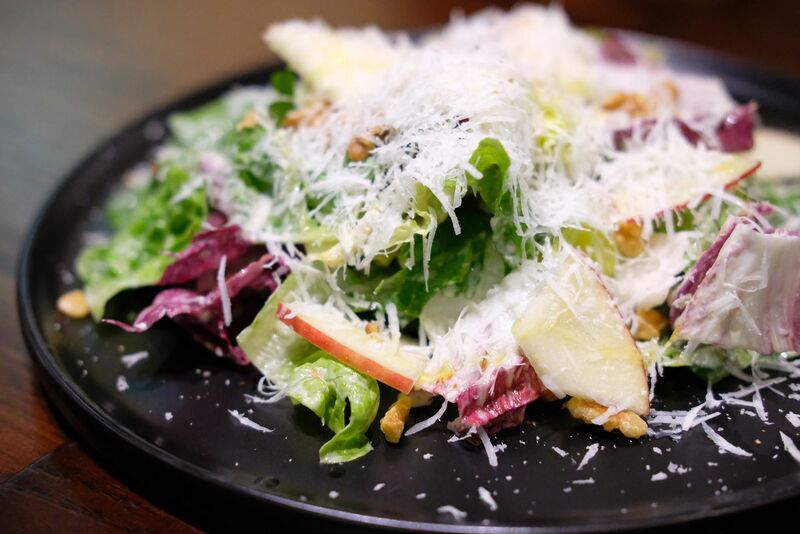 New Zealand Romaine lettuce, endive, jazz apple, and walnuts, are tossed in a Kikorangi cheese dressing that is quite cleverly crafted. I usually steer clear of anything cheesy, especially blue cheese, but the dressing isn't too heavy and that unmistakable aroma of the cheese has been toned down to a delightful level. WAKANUI might be known for their spring lamb and Ocean Beef, but their seafood is worth a mention too. The Hot Smoked Salmon ($24) features marinated fresh New Zealand Ora King Salmon that's smoked over cherry chips, and baked in-house a la minute. It's nothing like prepacked smoked salmon, if you're thinking of that! 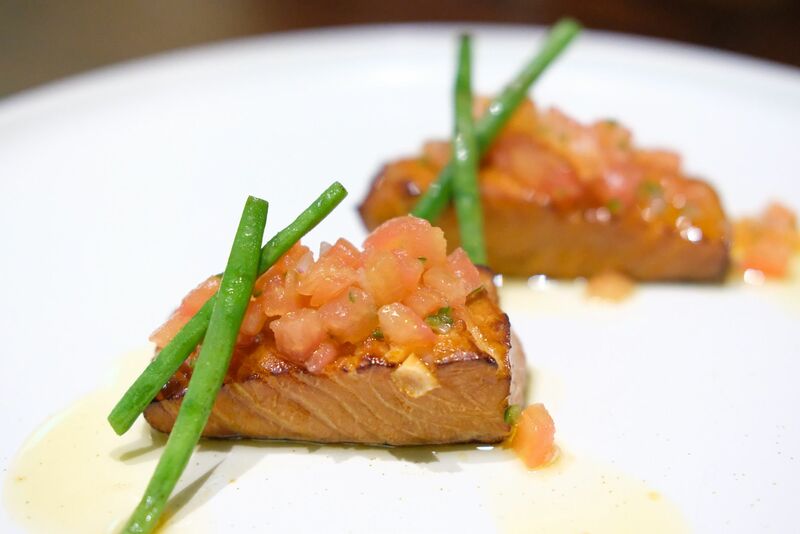 You'll find that you can cut through the salmon with absolute ease, and the light seasoning and fresh tomatoes will bring out the natural sweetness of the fish. Ocean Beef is produced from the Angus breed. The cattle are grass-fed for 18 months on high-protein pastures in a stress-free environment, and then finished on specially formulated wheat, barley and maize-based feed for four months at the Five Star Beef Feedlot in the coastline area of Wakanui, South Canterbury. 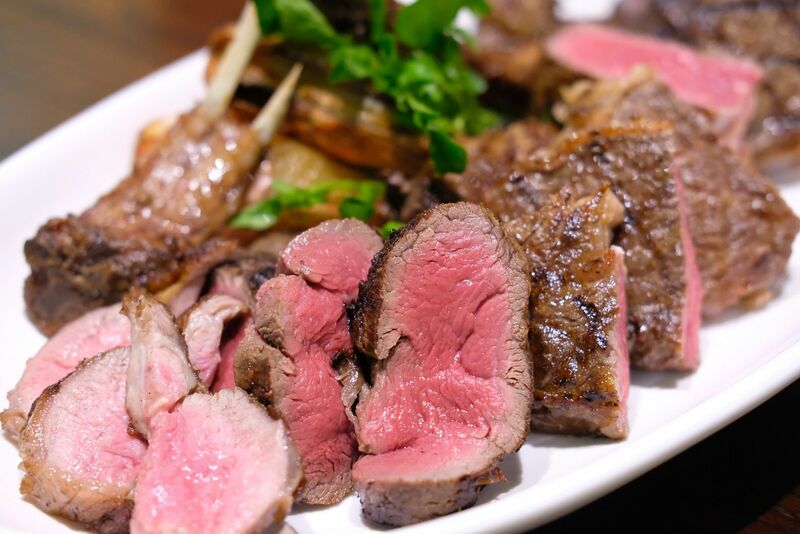 Ocean Beef has successfully achieved a perfect balance between marbling and leanness. The intensity of the beef flavour will certainly please the palates of beef lovers. 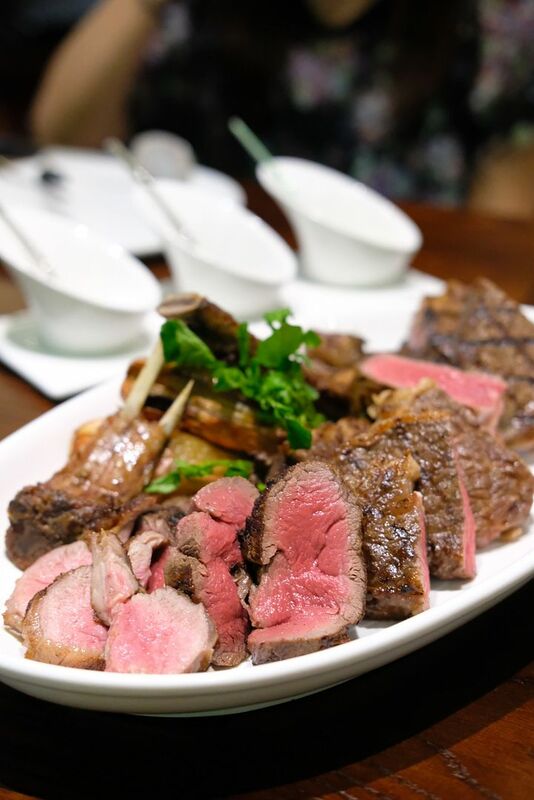 Our platter came with Ocean Beef(Bone-in Ribeye - $199/kg), Ocean Beef(Ribeye - $79/350g, $109/500g), and Canterbury Grass-Fed Fillet ( $78/250g, $138/500g). 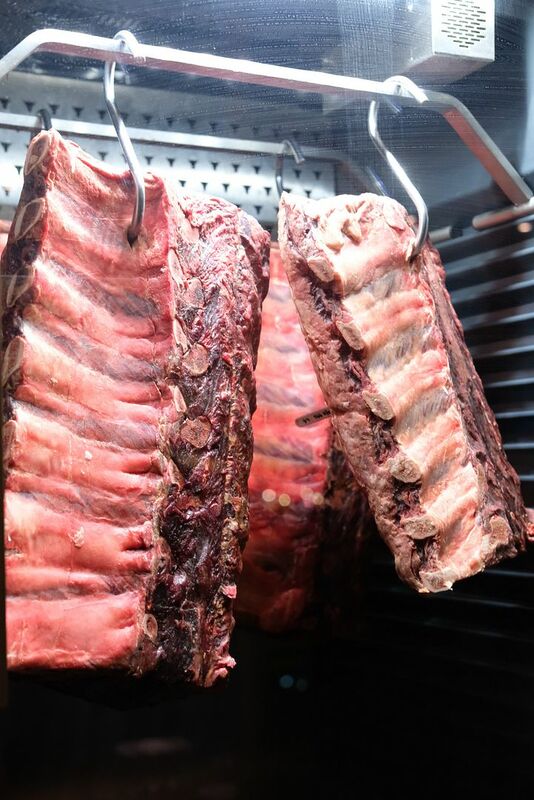 The meats are lightly seasoned with salt, seared on high heat, placed over binchotan, and baked. After the meats have been rested for about 15-20 minutes, they are served with fresh watercress and baked banana shallots. Can you guess which is my favourite cut? It's actually the Ocean Beef Ribeye! I just love the tenderness, flavours, and just about everything about it. I'm always a grain-fed beef person so the Canterbury Fillet didn't tickle my fancy because the beefy taste was way too strong. Those who can't get enough of the richness and depth of grass-fed beef will, no doubt, fall head over heels in love with the fillet. I'm staring at the photos and trying to relive those moments when I savoured the ribeye. I can almost taste it. So good, I tell you. There's only one way to round off a heavy and hearty meal — desserts. Everyone knows that hokey pokey is a flavour in New Zealand, and it is, essentially, honeycomb toffee. Hokey pokey is one of my favourite icecream flavours because I love honeycomb! And when I heard that the Hokey Pokey Ice Cream($14) here is made in-house, my heart skipped a beat, because I just knew that it was going to be good. 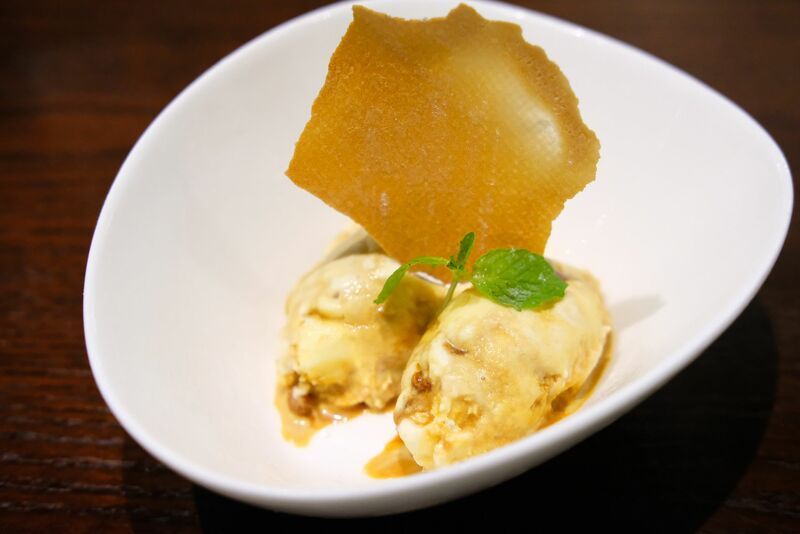 The icecream has a generous amount of caramel brittle churned in, and it wasn't too sweet. Super yummy! WAKANUI certainly knows the way to my heart. 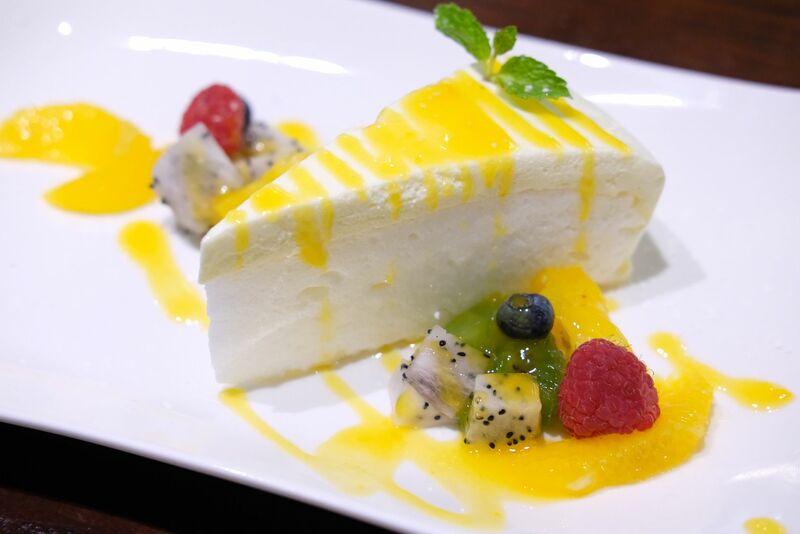 I love everything passionfruit, so the Pavlova($14) was an unquestionable winner in my books. It takes about 2 hours to prepare this light and fluffy "cake". If we could eat a cloud, I'm guessing it would be akin to eating this meringue-based treat. WAKANUI really impressed and I know I'll be back. The prices here are incredibly affordable. For the quality of the meat that we're getting, I would be expecting to pay a premium. WAKANUI really gives the other steakhouses a good run for their money!